of all the waves which are inside our body. and quite literally making the fractal / perfect compression. The heart can be defined as the musical conductor of all our body waves. (a) young with good vitality; (b) old with bad vitality. (b1) before practice; (b2) recovering after short period of vitality training practice. perfect nesting or embedding or fractality is optimized by golden ratio harmonics- and thus directly create self-organization / negentropy / healing (this is the point of Dan Winter's book- Origin of Biologic Negentropy). It is very important that the frequencies generated by our heart rate can stimulate (enter in resonnance with - which ultimately is to nest or embed perfectly ) each part of our body. Each frequency generated by the heart will feed, entertain the part of the body (or organ) related to this frequency. The more our heart will generate different frequencies, the more different parts (organs) of the body will be touched (fed) by the electromagnetic field generated by our heart. Everything, and living being can be characterized by a wave or set of waves. These different rythms can also be characterized or represented by a wave or set of waves. In our body, all our waves and rhythms should be tuned to each other. And our body waves should also be tuned to the waves of the universe. each time the frequency doubles, we get the same musical key note. 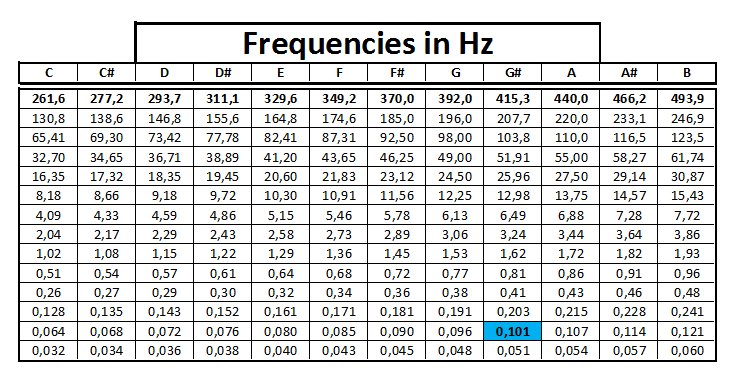 This G# frequency is most of the times the heart rate when we feel in love. 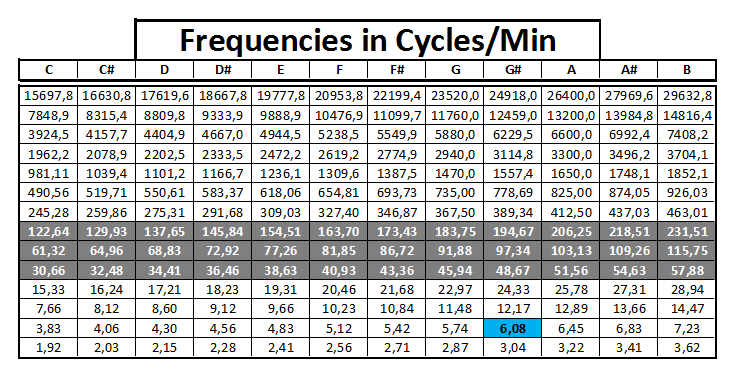 It is the mean frequency of the sacro-cranial wave (0.1Hz or 6 cycles/Min). And should also be related to frequency of the heart chakra.